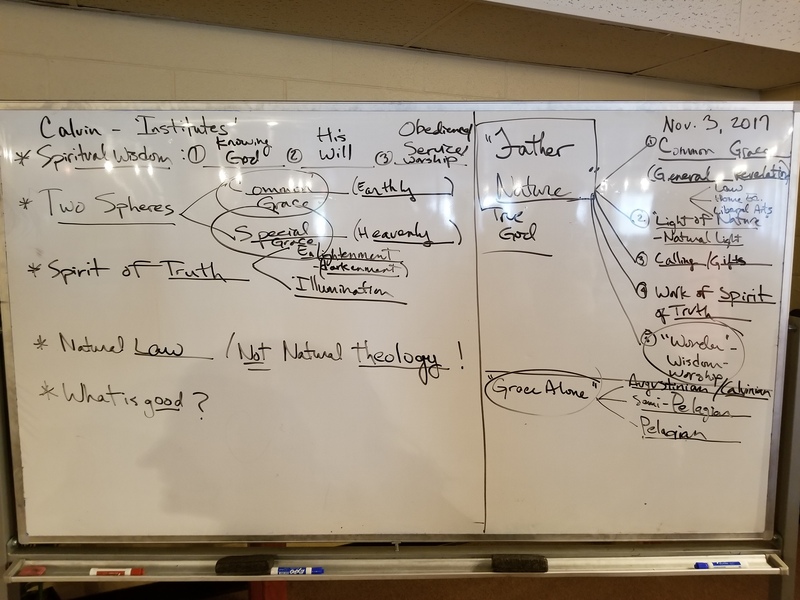 Calvin’s Institutes of the Christian Religion (or “Principles of the Christian Religion”) is not strictly speaking a summa theologiae (“summary of theology”), but more precisely (and pastorally!) 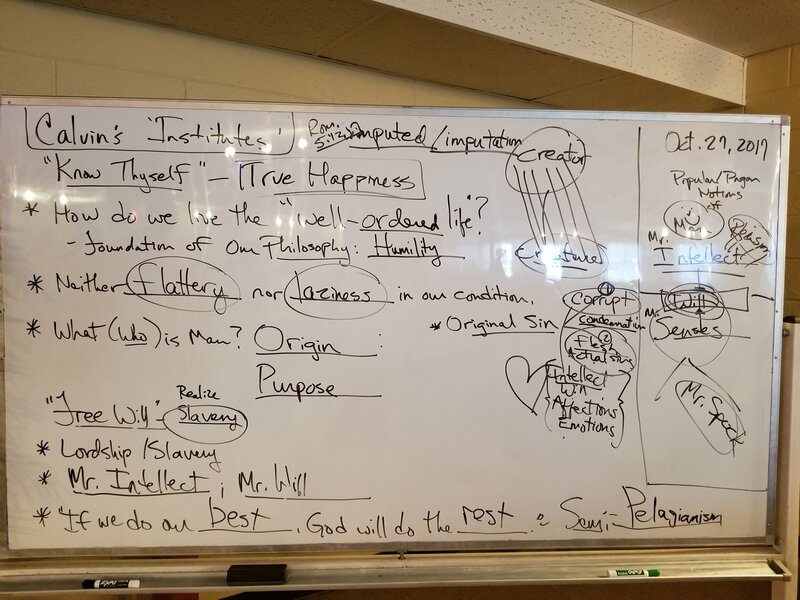 a summa pietatis (“summary of piety/godliness”). 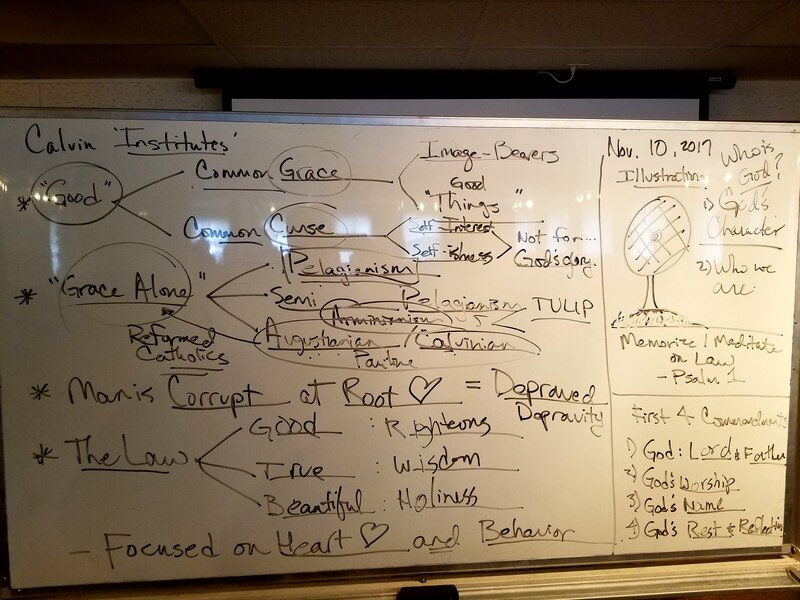 It is a book about Christian piety, or how to rightly cultivate godliness and true spirituality in the fear of the LORD, learning to more biblically and effectively love and serve God and neighbor by the power of the Holy Spirit. 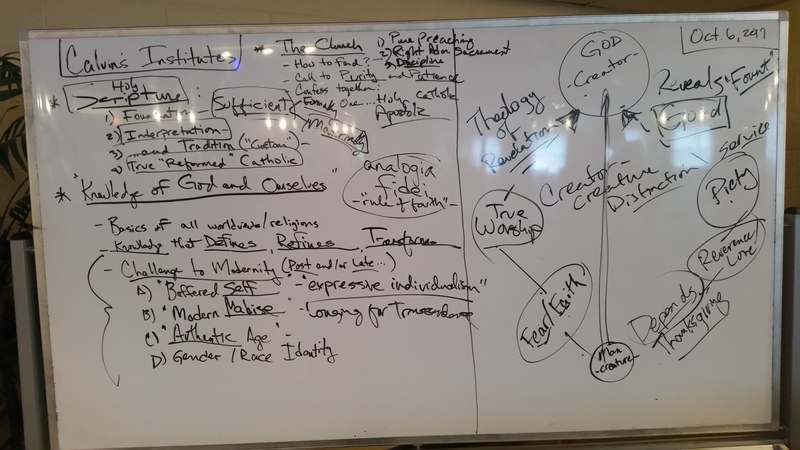 It is a book aimed at making all biblical theology pastoral and practical for the glory of the Triune God! 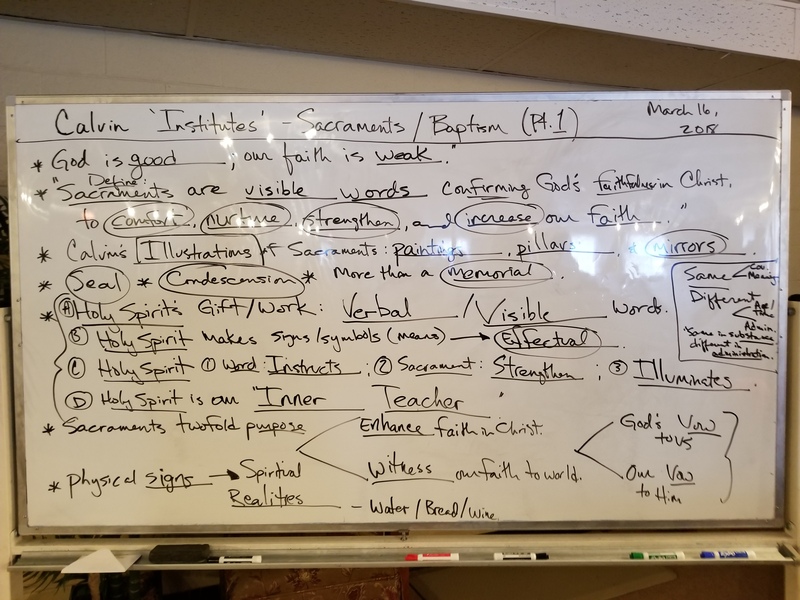 Church historian Philip Schaff said of Calvin’s Institutes: “This book is the masterpiece of a precocious genius of commanding intellectual and spiritual depth and power. 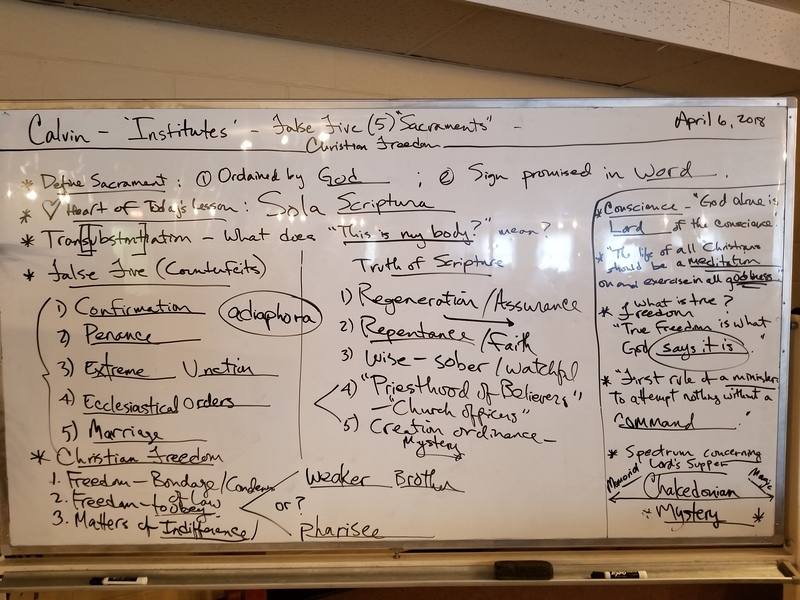 It is one of the few truly classical productions in the history of theology, and has given its author the double title of the Aristotle and Thomas Aquinas of the Reformed Church.” Calvin’s Institutes “holds a place in the short list of books that have notably affected the course of history” (J. T. McNeill), has been characterized as the Reformation’s “most eloquent theological statement” (S. Ozement), and is “one of the masterpieces of world literature (Nichols). 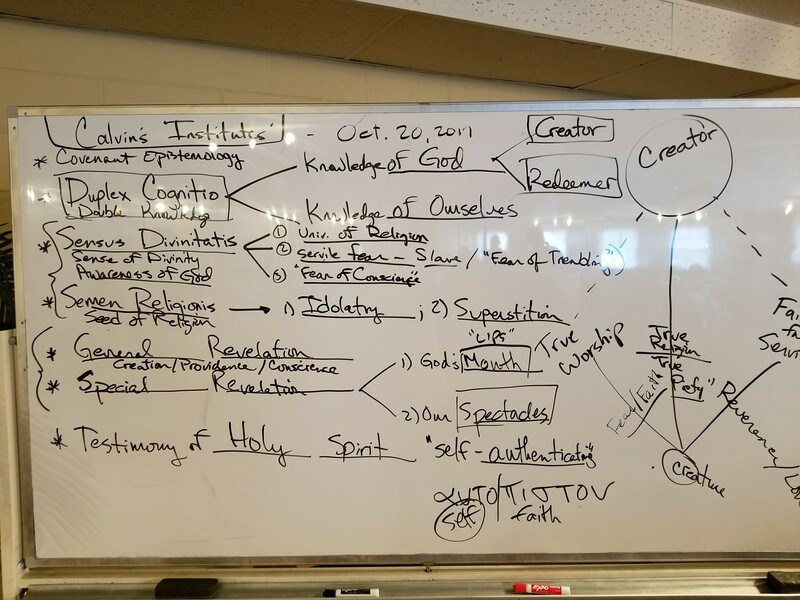 The publication of the Institutes during the Reformation was “distinctive, both eloquent and accessible. 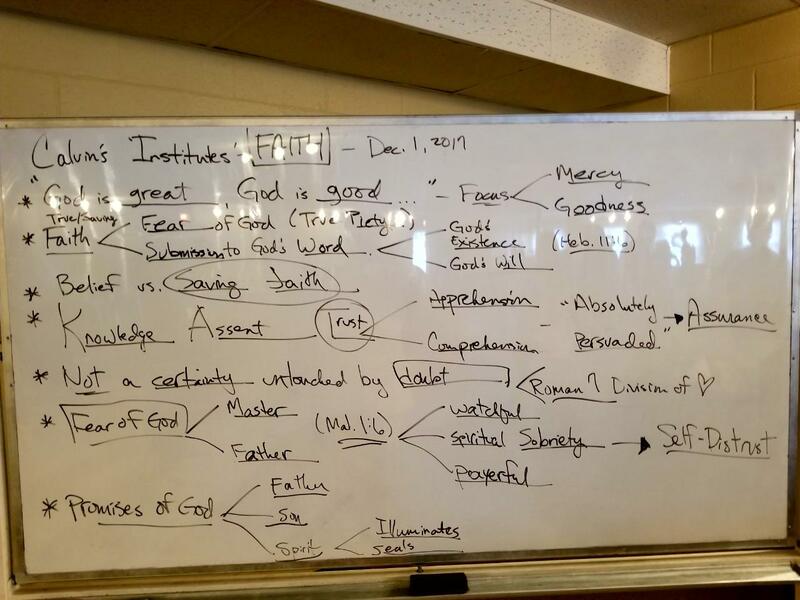 As a literary voice on doctrine, Calvin was alone” (B. Gordon). 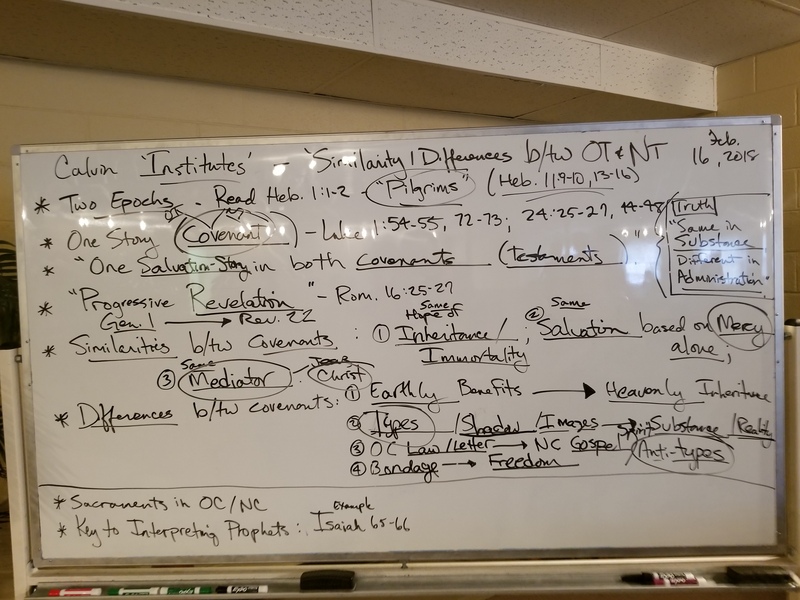 Join Pastor Charles R. Biggs in this study of Calvin’s Institutes. 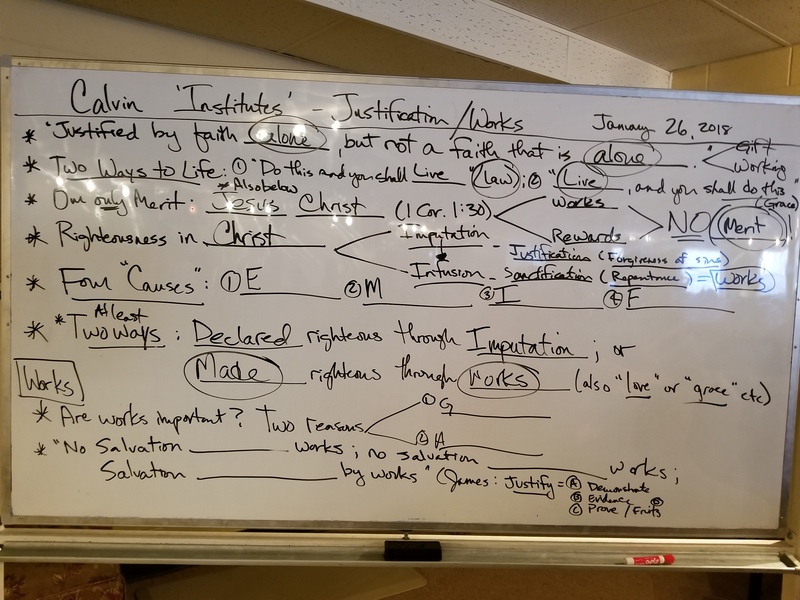 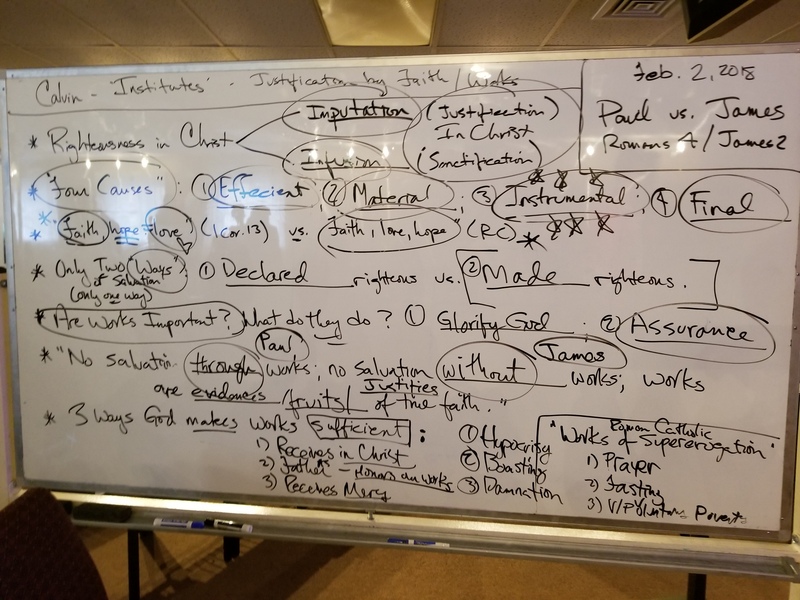 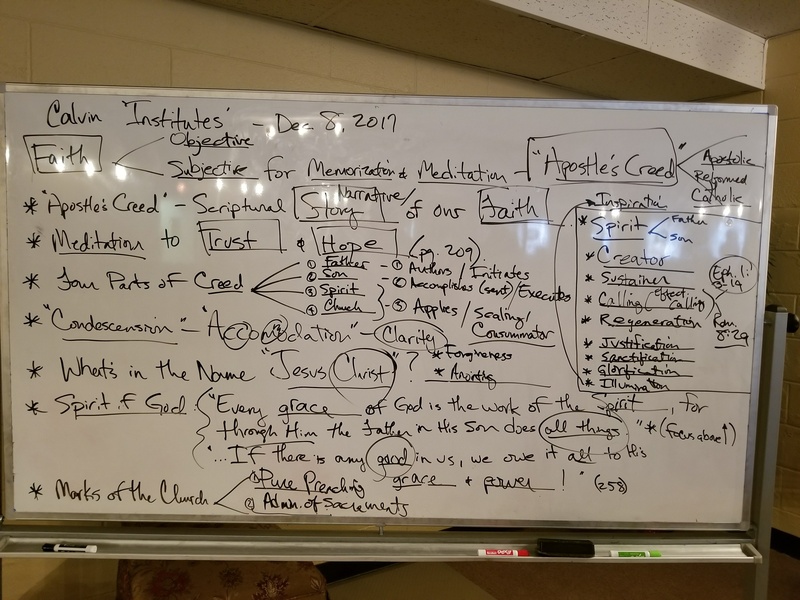 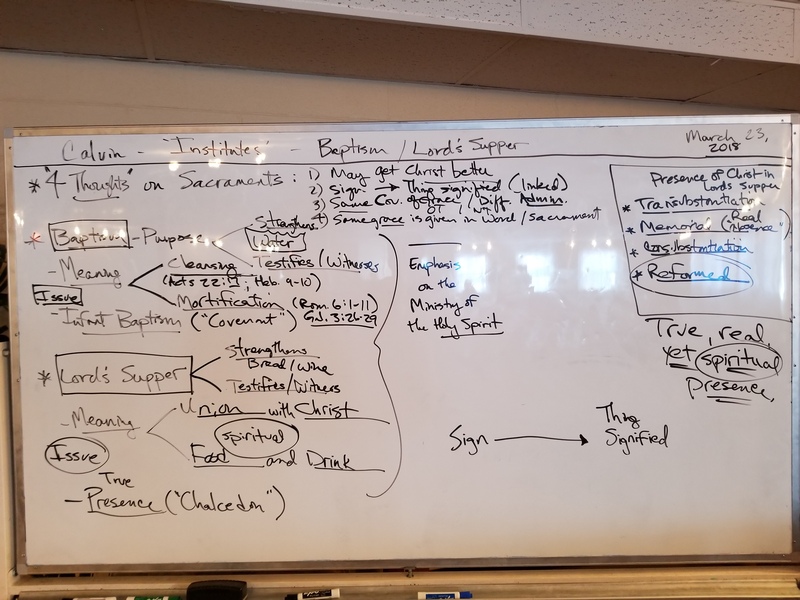 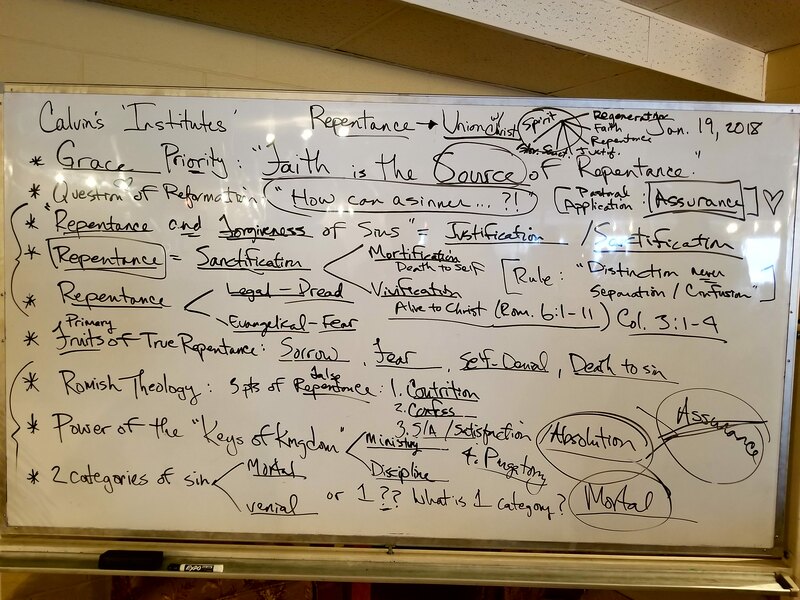 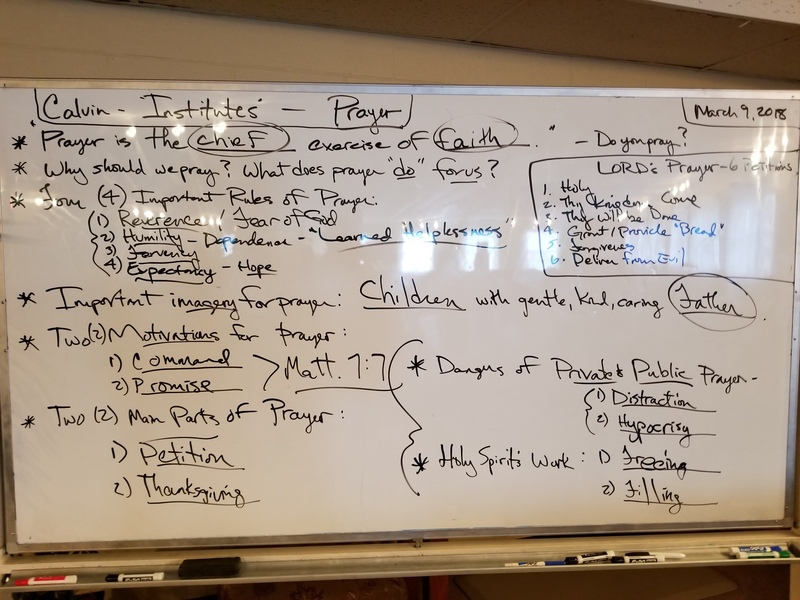 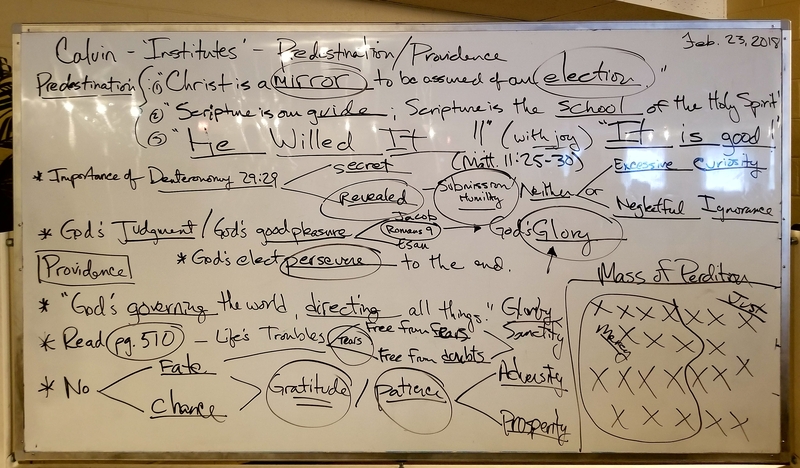 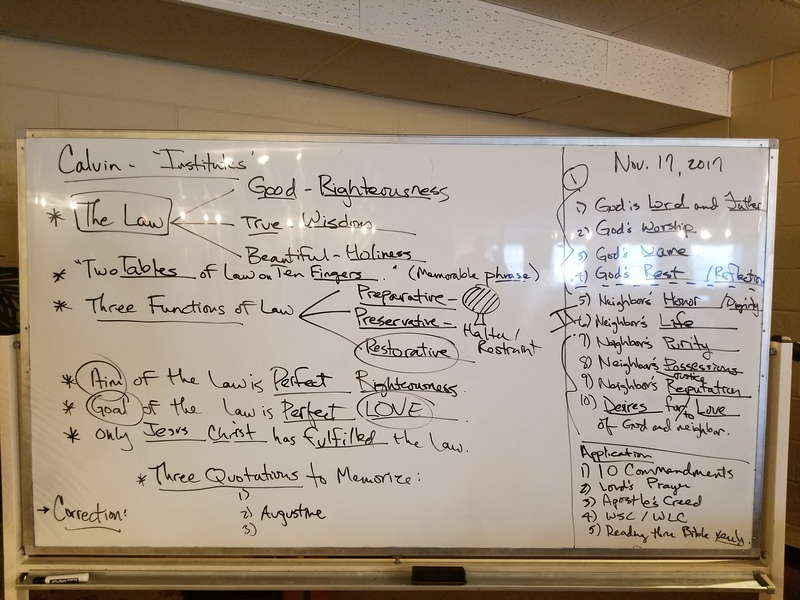 Below you will find reading assignments, outlines, class lectures, and marker board images from each week when Pastor Biggs taught in September 2017 – May 2018.